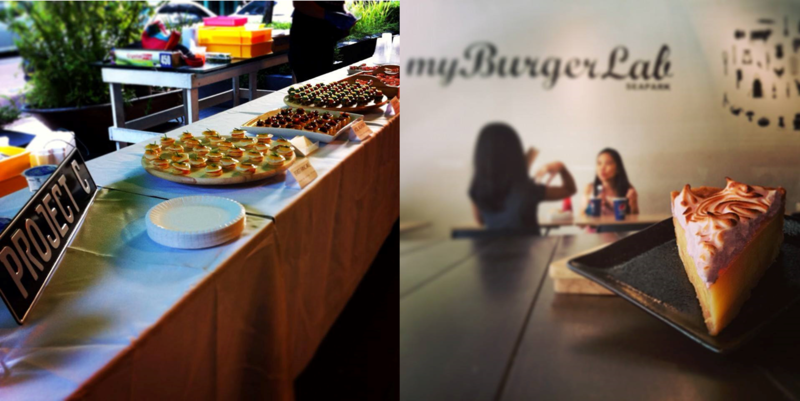 A few years back, when Mei Leng was working part-time at myBurgerLab (mBL), the crew there mentioned they wanted to venture out into something else other than burgers. They knew about her interest in baking as she used to bring her baked goods to work all the time. So after she graduated from her studies, mBL’s partners approached her with the idea of a collaboration. They initially wanted to start off with a café but because the scene was oversaturated, they changed their minds and went into supplying cakes instead. 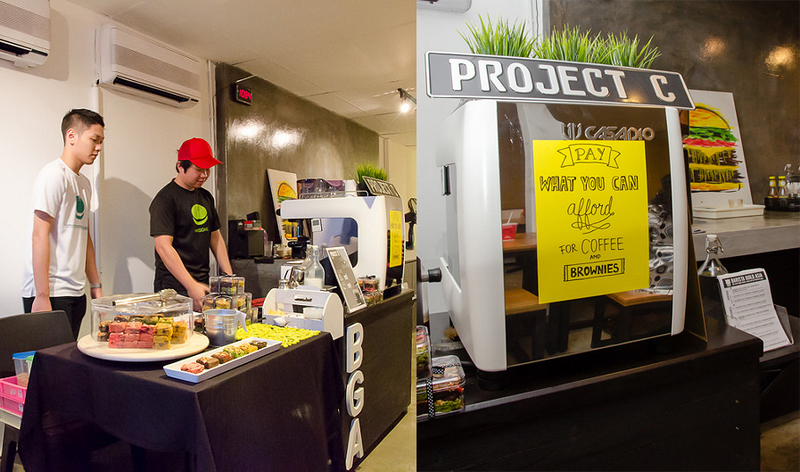 Project C, which stands for Project Comfort, was chosen because initially Mei Leng wanted to serve both cakes and coffee. She worked very closely with one of mBL’s partners, Ren Yi, before starting Project C.
They went to different cafés to taste cakes, brainstormed on ideas for unique cake flavours, and he also helped her with marketing of Project C. The other 2 partners of mBL, Chang Ming and Wee Kiat, gave a helping hand for other aspects of Project C when it first started as well. Currently helping her in the kitchen are 4 other people, who work both full time and part time in making sure her cakes are well made and delivered. If you’re a regular at MyBurgerLab, you’ve probably have come across this special delicacy known as ‘The Lava Brownie’. 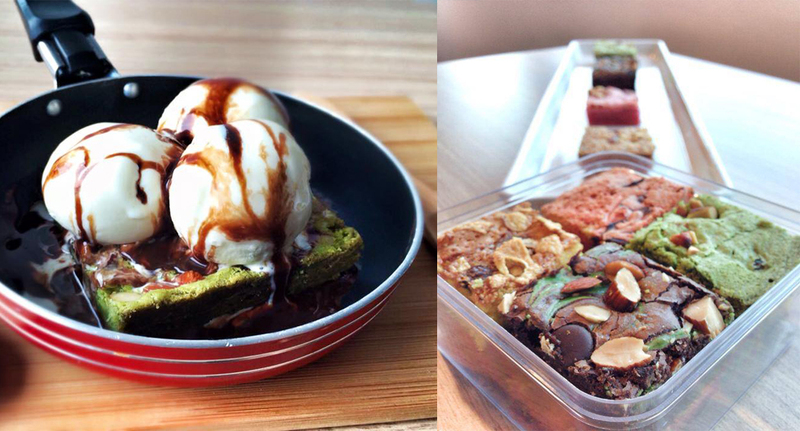 There are also the ‘Green Tea Brownie’ and ‘Oreo Mint Brownie’. Project C likes to play around with blending different flavours into one harmonious dessert. A customer favourite, the Rosy Mango cake is a blend of mango and rose. Project C also tries to bring in a big of a local twist, and another popular product is their Tofufah Cheese Cake. “Our signature cake would have to be our Tofufah Cheese Cake. It is a light and soft tofu spiked cheese cake, served with Gula Melaka Syrup and a piece of Crystalized Ginger. It is simply Tofufah in cake form!” said Mei Leng. They also do customised orders for people, mostly celebration cakes and special cakes from their café menu which take up to a full day to prepare, especially fondant cakes. 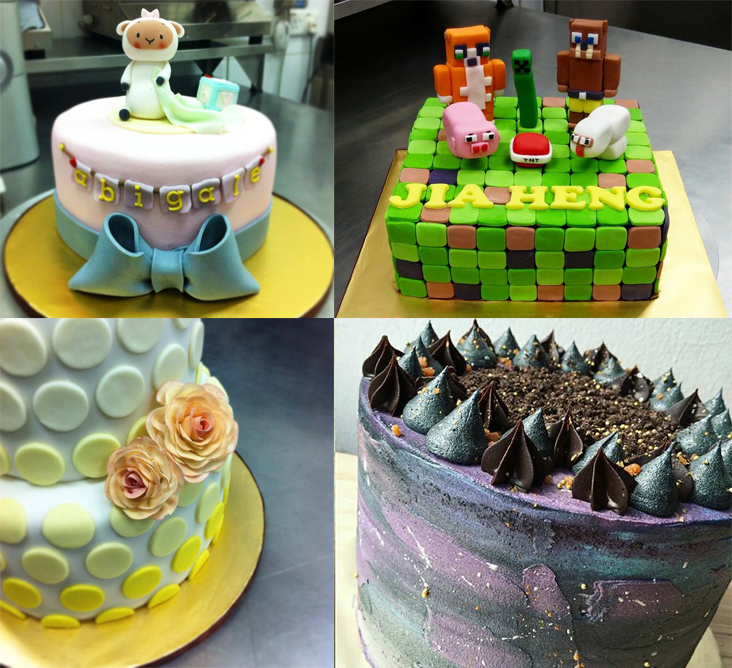 Mei Leng does say the time taken wholly depends on the design more compared to the size of the cake as ones with intricate details require more effort and creativity in bringing the customers orders to life. Although she had a good start and support, there was the challenge of gaining recognition for her hard work. As they were just an independent café, it was originally quite difficult getting their brand out there. But due to their specialty with flavours, cafés around the area began to approach them as they began getting attention on social media platforms. Though there were other hiccups such as a lack of SOPs in the kitchen, disorganised orders and no delivery system or cut off dates, they’ve worked hard and now the problems have been rectified and daily operations are smooth. Mei Leng went on to say that she believes Project C is truly something different, with competitive prices and quality ingredients used in preparing their cakes. “We use only butter. No margarine or butter substitutes are used in our products, which gives the cakes better mouthfeel and taste. But the other factor they believe leverages them more is their attention to customer service. Mei Leng has a policy where she follows up with customers on their purchase to make sure that the cakes bought are up to expectations and also to inquire on feedback for further improvements. When it comes to negative criticism on the cakes, Mei Leng will assess and evaluate on whether the number of customers giving that same feedback is of an abundance to take into concern. Should the problem lie with just the minority, then she would recommend the affected customers another product that would better suit their taste. “We try to accommodate as much as we can to customers’ requests. If we get a lot of the same complaints, we will then alter our recipes to better suit the taste of the majority. However, we have to remember that in the food business, we cannot please everybody as taste is very subjective,” said Mei Leng to Vulcan Post. 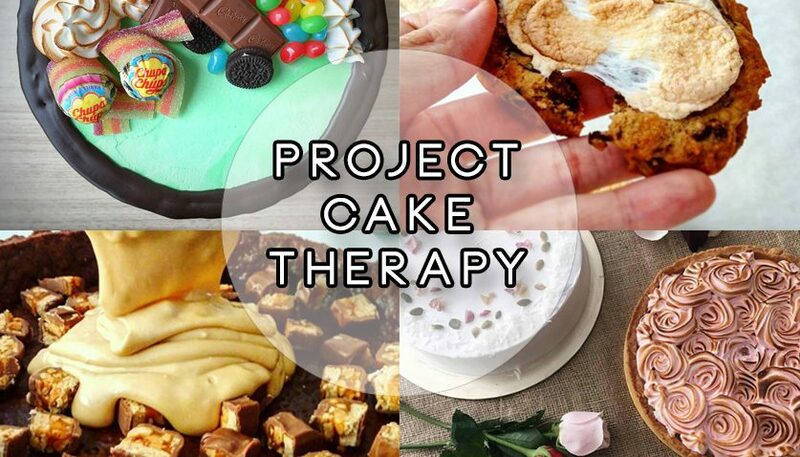 Currently Project C supplies their cakes to around 10 to 15 cafés around the PJ and KL area, which gives them a steady customer stream for their cakes on a weekly basis. The next plan they have on the agenda is to get a bigger kitchen space to be able to take on more orders. “I would also love to venture into catering for finger food and desserts while also increasing the variety of our baked goods to include things like breads and pastries. Collaborating with party planners whereby we provide the food items for dessert tables and they do the décor is another option we are looking into,” concluded Mei Leng.